The Polairis Plus is the perfect answer for all transfers. Wheelchairs, Shower Chair, Bath Tub, Jacuzzi, Commode and even simply dressing. 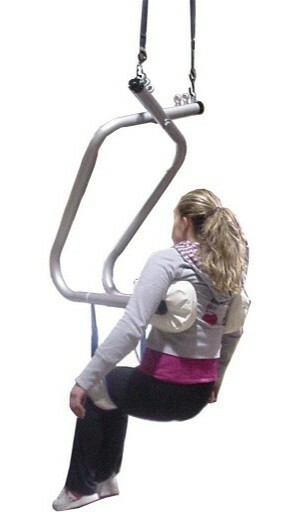 The Polairis Plus gently hugs the person under there arms around the rib cage with a small band under the knees keeping the person upright in a seated position while leaving the buttocks completely exposed allowing for toileting or even getting on a pair of pants. 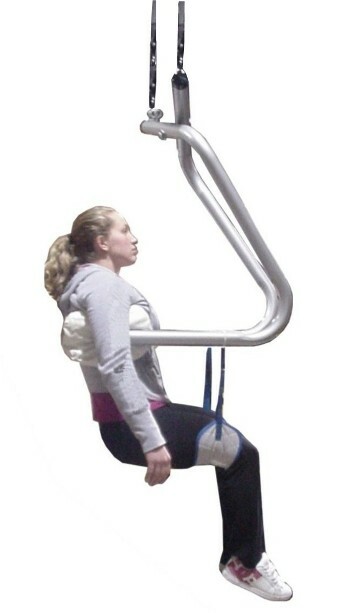 The Polairis Plus gives the user the freedom of quick transfers without the struggle of getting a conventional sling out from under you after you have been transferred or the difficulty of getting a conventional sling under a person prior to transferring. People no longer need to tolerate difficult, uncomfortable, awkward transfers. The Polairis Plus gives a person and care givers the freedom of simple, easy, quick transfers. Everyone could use a hug each day..! 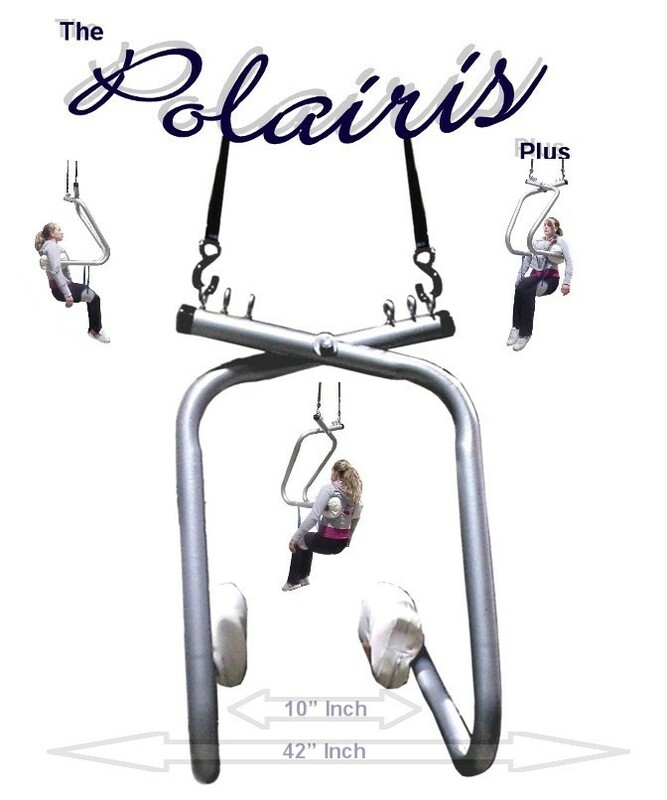 The Polairis Plus is made of 2'' inch steel tubing offering a 350 pound weight capacity. The Polairis Plus has two 12'' X 6'' inch hands and features the highest quality memory foam padding making transfers as comfortable and easy as a simple hug. The Polairis Plus has three different settings allowing the user to adjust the strength of the hug delivered by the Polairis Plus to there personal preference. The Polairis Plus manufactured by World Wide Seating has a strong durable powder coat finish making it scratch resistant and completely water proof. 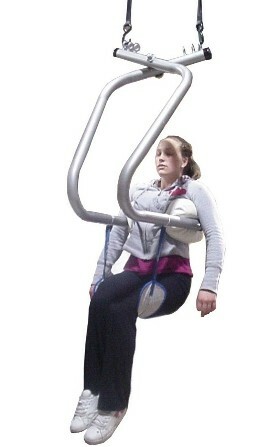 The Polairis Plus can also be adapted to work with any overhead lift system. Not sure the Polairis Plus would work good for you or someone you know. ?